Opioid use has hit epidemic levels throughout the United States. Since 1999, the number of deaths due to opioid use have quadrupled, according to Health and Human Services. 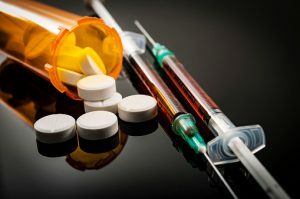 More than 165,000 people have been killed by opioid overdose since 1999, and opioid overdose is rapidly moving up the list as a leading cause of death. According to HHS, 2014 had the highest number of deaths because of drug overdose since the time when records started to be first kept on this cause of death. Approximately six out of 10 of the drug overdoses that occurred in 2014 were caused by opioids, according to HHS. The term “opioids” refers to heroin and prescription drugs like fentanyl and oxycodone. Those who use opioids are not just endangering themselves by putting themselves at risk for overdoses. Some opioid users hold jobs where they must be alert, but opioids undermined their abilities. For example, when truck drivers use opioids, they could cause a collision that could cause serious injury or even death for the victims. There are growing concerns about how the rise of opioids will affect safety as truck drivers begin using opioids in increasing numbers, along with others caught up in the opioid epidemic. Because of the concerns about escalating risks of drug use among professional truck drivers, Trucks.com reports that some industry carriers actually want to change the way that trucking industry employees undergo drug screenings. The carriers want to use hair tests to check for signs of substance abuse, rather than continuing to use the current method of urine testing. Carriers believe switching to a hair test could help to identify cases of substance abuse that might otherwise go unnoticed. The concern about trucker drug use is not an unfounded one, as Reuters reported back in 2013 that there was a major drug problem among truck drivers. Reuters showed how drivers were using drugs to try to be deal with the realities of their job. For example, some drivers were taking cocaine or other similar drugs to drive for longer and stay away for longer. Around 20 percent of truckers who had been surveyed admitted to marijuana use, according to Reuters, and one study showed 12.5 percent of truckers testifying positive for alcohol. Opioids can also be justified as necessary by drivers who have a prescription for opioid-based pain medicine. Driving while under the influence of opioids is dangerous regardless of whether or not the driver holds a prescription. Getting a prescription for these types of drugs can often lead to dependency, which means the potential for more truck collisions to occur.